This infrequently updated page covers old, personal projects. See LinkedIn, Wikipedia, WikiFur and my LiveJournal as well. I used to work for GameStop as a developer of the digital distribution system formerly known as Impulse. 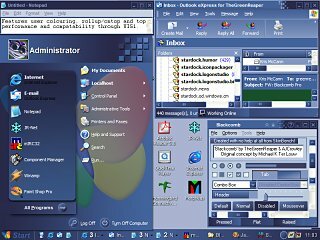 Before that I was at Stardock, where I created LogonStudio and Tweak7, among other things. More details are provided on LinkedIn, my CV/resume, and my university dissertation. 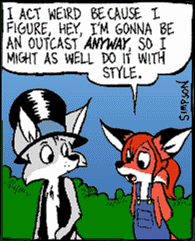 A furry fan? 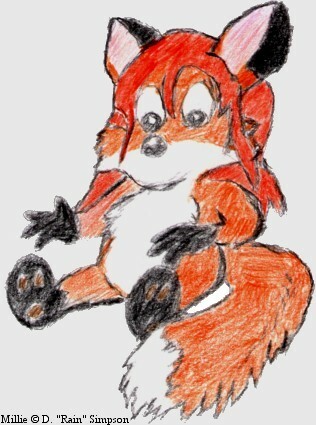 Visit WikiFur, Flayrah, Yerf, my photo sets, and my Inkbunny and FA pages. Creatures fan? Try the Creatures Wiki. Read my articles on starting a wiki, making it fast, making great skins, and WindowBlinds skin optimisation. Looking for skins and objects for WindowBlinds, LogonStudio, Bootskin or DesktopX? See my WinCustomize page. Languages: English, C/C++/C#, Basic (.NET et al), PHP, [Postgre|My]SQL, [VB/Java]Script. Finalist in the 2000 British Informatics Olympiad - with QuickBASIC! Winner of the 2004 BCSS awards for worst-dressed, geekiest and most-likely-to-become-a-serial-killer. Likes: Music (Tangerine Dream, classical, Radiohead), cats, books (Pratchett, Asimov) and computers. 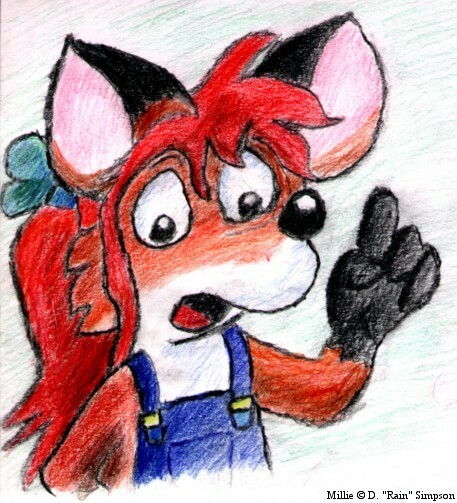 Interests: Programming, wikis, disassembly, furry fandom, photography, journalism, chocolate. Geek Code: GCS d-(+) s:+ a C++++$ UL++++ P L+>++++ E--- W+++ N++ o-- K++ w+++ O-- M- V- PS+ PE Y+ PGP- t* 5- X R* tv- b+ DI+++(++) D++ G e++ h*(!) r* y? Old chat stats: #wikifur, #wikia, #wayfair, #stardock and Creatures. 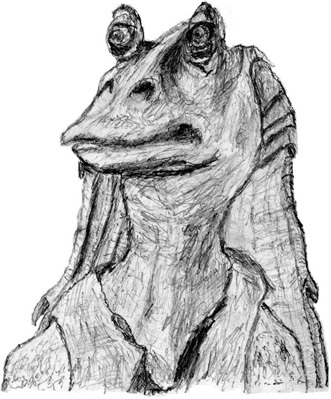 I got a Graphire tablet back in 2001 and loved it. I'm a programmer, so naturally I tried to do something with it, only to find that there was very little support for VB, and only via the standard (C/C++ based) API. So I made my own. VBTablet encapsulates the WinTab API in an easy-to-use ActiveX component DLL - all you have to do to have is plug it into your project. It works with VB 5 and 6, with .NET (tested in Visual Basic.NET), and I'm fairly sure it should work with Delphi and other languages capable of using COM - even Excel (via it's VBA macros). Documentation is probably sufficient (object browser data is included), and the code itself is available, so you should have no excuses - however, I'm more than willing to explain something if you want, so feel free to email me about it. Also, this component will only work on a system that actually has a WinTab device installed (which should be signified by the presence of a file named wintab32.dll in your Windows "system" or "system32" directory). VBTablet is hosted on SourceForge - click here to get to the project summary page and then on "Files" to download. The VBTablet package includes the VBTablet DLL, the TabletDemo example, source to both and an Excel sample spreadsheet. VBTablet is licensed under the terms of the GNU LGPL - you can stick vbtablet.dll in your commercial distribution and sell your program, as long as you include the VBTablet license and note where people can get the source from. 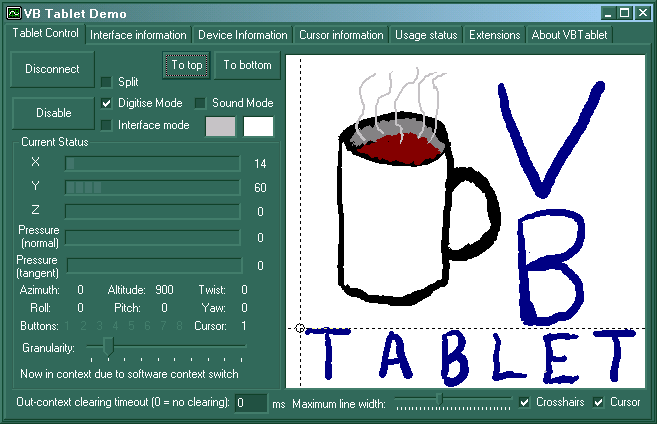 TabletDemo is technically licensed under the GNU GPL, but you are free to use it as an example of how to use VBTablet in all non-derived works. LaserVault, who use it for signature capture. It is also used in research projects. 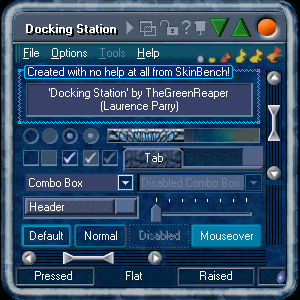 MNGTools contains a player and editor for the MNG music files used by the Creatures 2/3 and Docking Station games. Listen to your favourite music without having to have the game running! Seriously, it's nice stuff - I've had some tracks running in the background for hours. You can find out more and download copies at the developer pages for MNGTools (check out the Files area, you probably want MNGToolsSetup.msi). This project was the subject of the final-year dissertation for my degree in Computer Science at the University of Bath, and contains full user and developer documentation. The .NET Framework 2.0 is required to run MNGTools. Non-Windows users may be able to use portions of the project with Mono - specifically, the libraries appear to work, but applications based on Windows.Forms may not be compatible, in which case MNGPad and MNGPlayer will not work - you'll have to roll your own apps in C# or something. If you get something working, let me know! OK, so the name didn't really say it all . 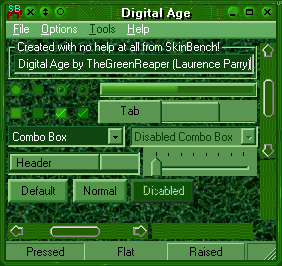 . . SkinBench is a benchmarking program that uses standard Windows API calls with regular windows and window controls (buttons, edit boxes, etc) to evaluate the performance of any skin in use (it still works without any skin . . . probably faster ;-). The idea is that, since it does things a user does (activating windows, moving them around, etc) it should reflect how fast a skin will appear to a user. Obviously, on their own, the numbers mean nothing, so you might want to see how some of the default skins score on your computer for comparison. SkinBench is distributed under the GPL. I've tried to ensure the code is reasonably commented - if you want to use it, you should be able to figure it out . . . Try SkinBench now! It works on Windows 9x, NT/2k/XP and later, and Linux (with wine - I suppose you could use it to benchmark GDI emulation ;-). Blackcomb was a skin I created with AJCrowley, a port of an .msstyle by Michael K Ter Louw. If you don't have WindowBlinds, get a trial copy. If you don't have WindowBlinds yet, get a trial copy. Includes animated XP taskbar and start panel elements. Download "Digital Age", along with NumPlug for evaluation. To remove the NumPlug (there for evaluation), edit digitalage.uis and decrease the value of buttoncount by two. 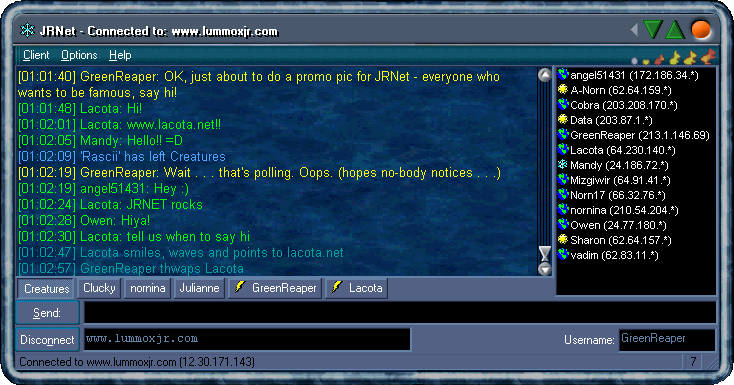 JRNet was an alternate client for JRchat, a key chat system for members of the Creatures community (see here for a Java interface - this chat was only for Creatures community members). JRNet offered many "extras" over the default client such as last-seen, name-change detection, custom colours for various message types, custom font, per-user message windows, sound, logging and more. Note: JRchat has been down for some time, so this program is, alas, no longer of much use. Download JRNet here. You should probably get the latest update after you have installed it - just extract over the installed files, overwriting the ones that are there. This site and its contents are � 1998-2016 to Laurence "GreenReaper" Parry, unless otherwise noted. All rights reserved. Please do not use any content from this site without prior permission or license. Thanks!